I don’t know about you but I am so ready to get outside and do some gardening. Planting veggies is definitely on my list but right now my mind is on flowers…planting them anywhere and everywhere. That was my goal when we lived in our Illinois house, too. 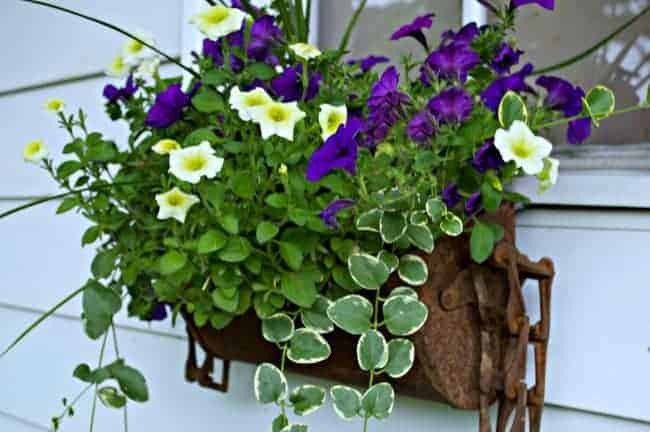 I wanted to add some color to our plain garage so I set out to find the perfect window box for flowers. I could have built one but, as luck would have it, I found the perfect piece to use at a local flea market. 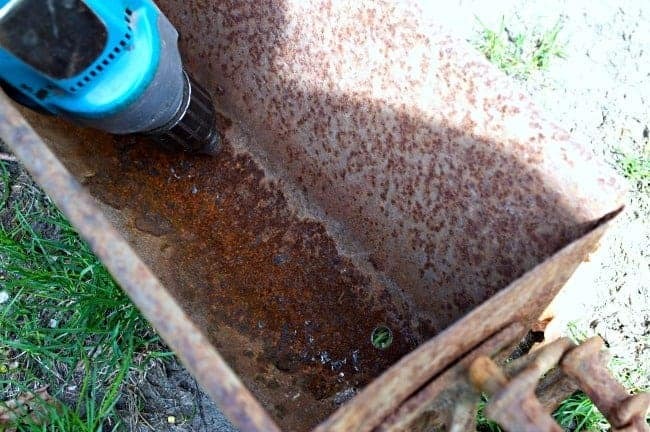 Rust and vintage goodness included. Click over to see the before and after of my rustic window box. 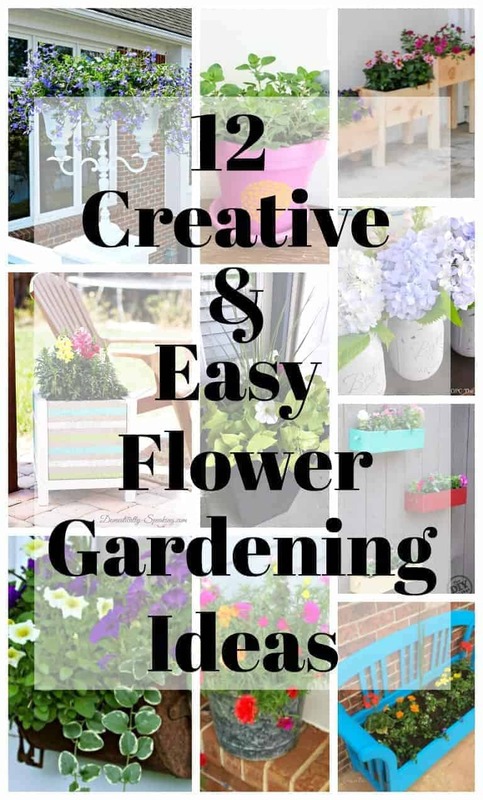 Looking for more flower gardening ideas? 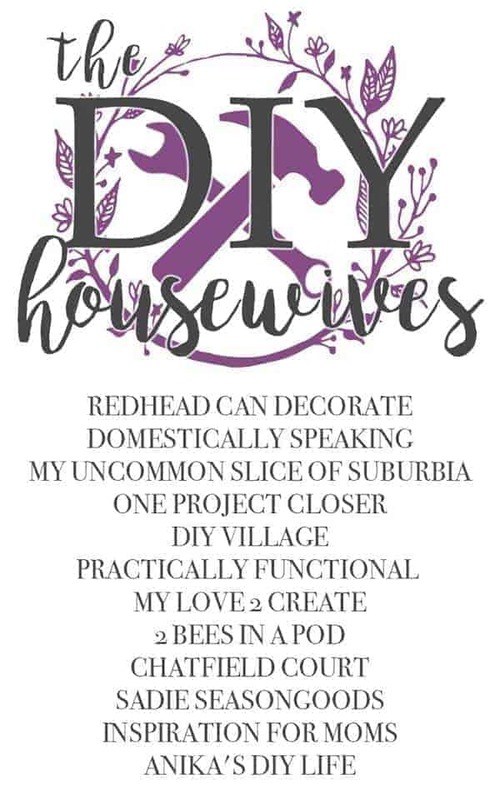 Check out all of the beautiful inspiration from the rest of the DIY Housewives. Love the planter and how you arranged it. Thanks so much Pam, I appreciate it! Still snowing here, but you have me dreaming of greener days! Kristi, I Love your flowers and the rusty planter from the flea market…unique and fun!